Admittedly, I’m a bit of a tech geek. With that said, I think it’s important to note that there is a difference between a tech geek (someone who gets excited about new technology) and a tech expert (someone who can use aforementioned technology effectively). I’m striving to be a tech expert but for now, I have to settle for just being extremely curious when it comes to technology and trying new tools. I’m telling you this so that you can get some context surrounding this article. I am also telling you this so that you can’t hold me responsible if your computer catches on fire while trying the tools that I mention below. My tech geek exploits have recently led me to the world of google chrome extensions. If you are an avid chrome user, then these are probably very familiar to you. For those of you who are not familiar an extension is a small software program that modify and enhance the functionality of your chrome browser. There are literally thousands of these extensions that cover a wide range of user needs and enhancements. Being a recruiter, I focused on chrome extensions that I felt would help me in my day-to-day recruiting activities. This could come in the form of added search functionality, organization, or just overall work efficiency. So without further ado, here are the top 5 google chrome extensions that I have discovered (so far). This is one of my favorite chrome extensions. Prophet sits in your sidebar and is easily accessible when you need it. It extracts information from social sites such as LinkedIn, Google Plus, Facebook, etc. and uncovers information about the person whose profile you are visiting. More specifically, information that may not otherwise be listed. This includes email addresses, other social profiles, and websites. It’s a fantastic tool to obtain several ways to contact people and can serve as a poor man’s alternative to LinkedIn Recruiter. 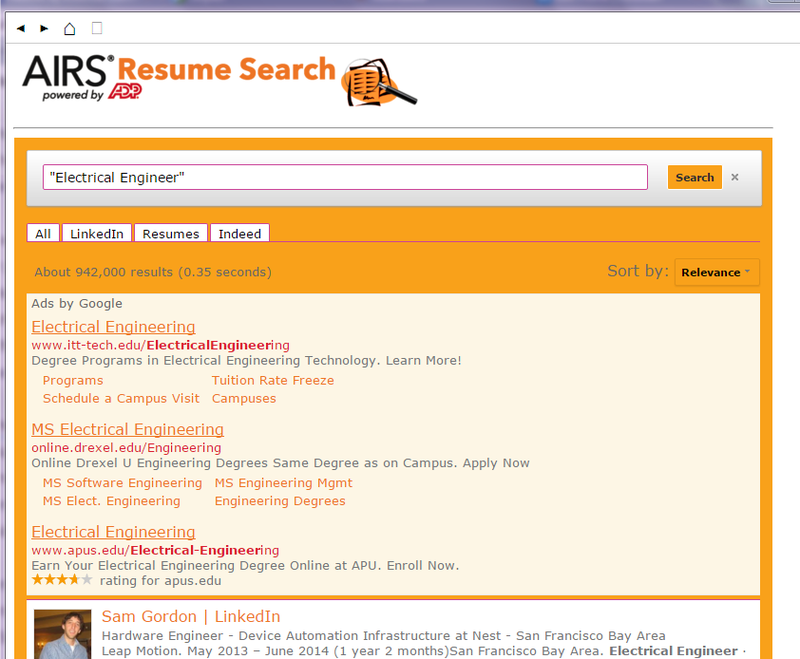 Speaking of LinkedIn Recruiter we next have the LIR search tool. This extension is very simplistic, but can prove to be a time saver if you are extracting data from the web. The search tool allows you to highlight anyone’s name that is listed in an article or a webpage and find that person on LinkedIn with a simple “right click”. This saves you from opening a new tab or toggling back and forth. Search All is for all of you Boolean junkies out there. This extension allows you to input a search string into a single field and view the results from various search engines and technical platforms. As you can see above, with a simple click you can switch between Google, Amazon, Bing, Yahoo, EBay, Twitter, and even YouTube. The obvious advantage here is that you only have to input your search string one place, one time and you can view the results from a variety of sources. No more copying and pasting search strings and opening several tabs. 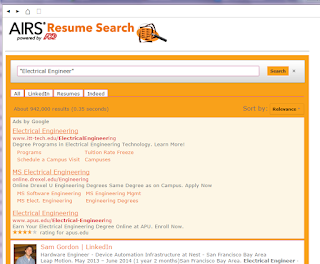 The AIRS resume search is a free tool that was released by the same people that brings you the AIRS certifications and is powered by ADP. It is similar to Search All in that it gives your results from a variety of sources with a single input string. In this case, it pulls information from LinkedIn, Indeed, and even does a resume search on Google utilizing the keywords that you entered. The drawbacks to this tool are the sponsored ads that show up at the top of each search and the clunky navigation system. There are forward and back buttons but no single click access to the home page or your original search. I must admit that this particular extension is not geared towards recruiting or searching, it’s just cool. 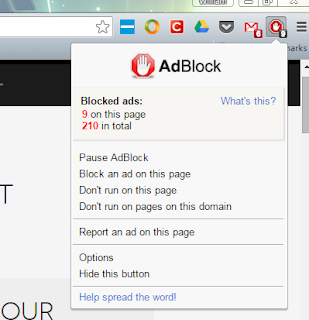 Ad Block eliminates the advertisements that can overrun a web page. It actually allows you to filter out undesirable contents of a page and leave you with a cleaner experience. Not only does this prevent you from getting bombarded and potentially annoyed, the streamlined content allows your browser to move faster and more efficiently. That is my current list of Chrome Extensions for the recruiter. I’m sure that there are many more out there. If you have ideas or tools that have proven effective for you, please share. Again, my transformation from tech geek to tech expert is not yet complete.